South Indian Food comes from the Southern part of India. 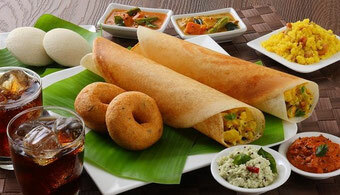 There are many specialties of South Indian food that are not to be missed! We recommend the following restaurants to visit and have a delicious meal of South Indian Style food. Contact us and share more information regarding Restaurants in and around Frankfurt so that all of us can profit from the information.